'Planted Wednesday 11th. 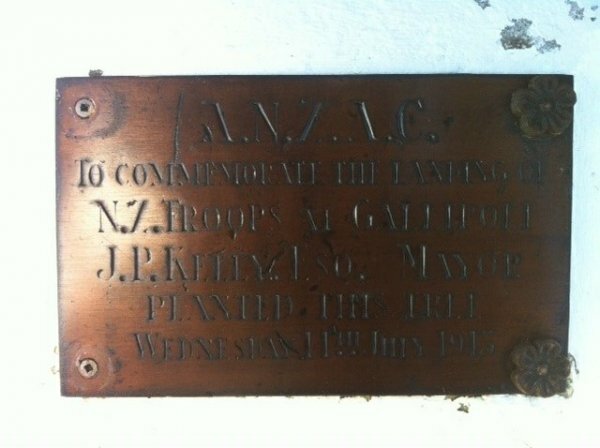 July 1915 by J.P. Kelly Esq. (former Mayor of Eastbourne). A plaque describing the tree and its history is positioned at the base of the tree. 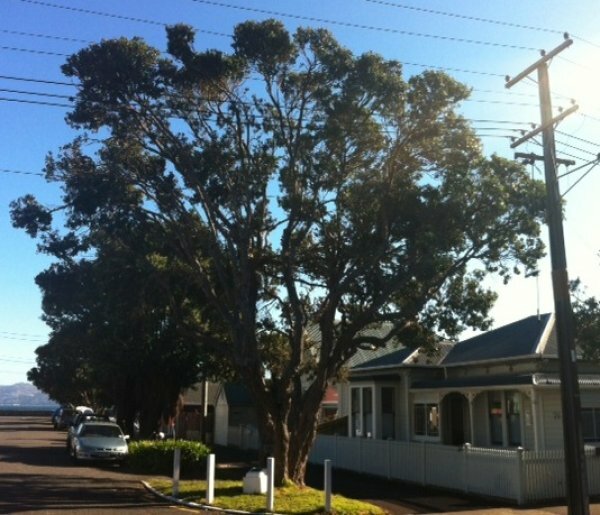 'An Anzac Memorial tree planted on Arbor day 1915 (10 weeks after the Gallipoli landing)'. Burstall 1970. Reference. Burstall SW. FM. Report no. 20. 1974; p.33. combined girth of all stems. In good health although with some recent storm damage. Close proximity lines reduces the canopy on one side. 26 Jul 2013 Arnold, N.